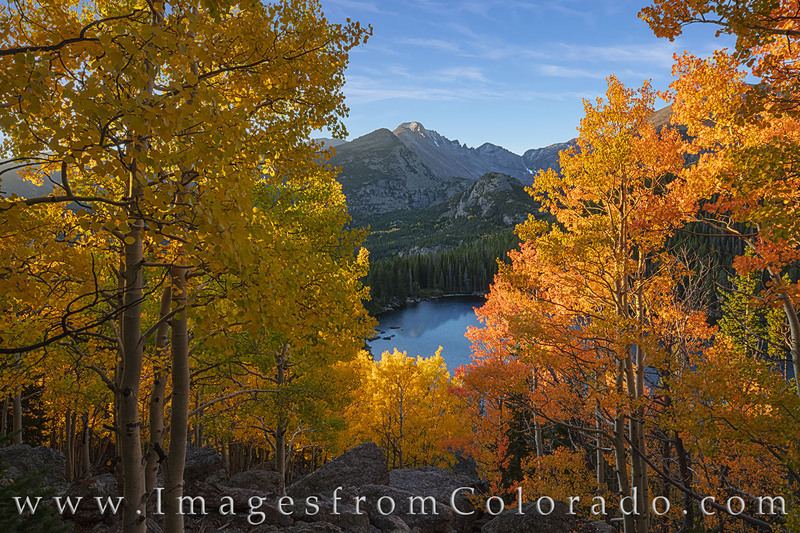 Longs Peak climbes over 14,000’ into the cool Autumn air in Rocky Mountain National Park. I had awakened before 3am to make the drive from the west side of the park to capture this view with golden aspen at sunrise. Beneath me are the still waters of Bear Lake with the rugged Rockies in the distance. This is still one of my favorite images from this amazing park. Photo © copyright by Rob Greebon.